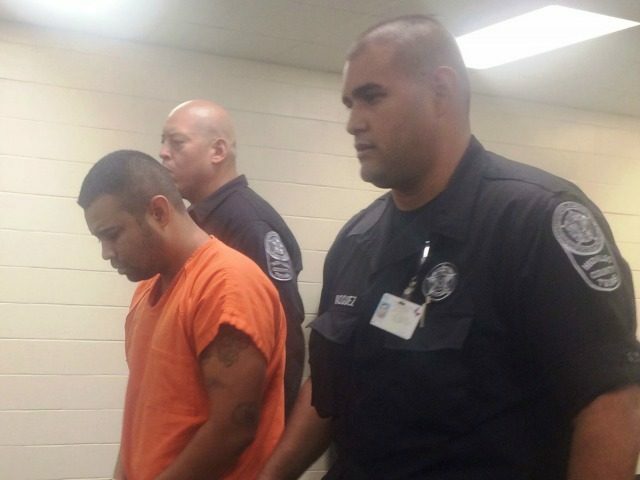 EDINBURG, Texas — A Texas border man is facing capital murder charges in connection with the beating death of a two-year-old boy. On Tuesday afternoon, 27-year-old Freddy Armando Muñiz, a U.S. citizen from Weslaco, Texas, went before a local justice of the peace who formally charged him with one count of capital murder and one count of injury to a child. His bond was set at $1,050,000. According to information provided to Breitbart Texas by the Hidalgo County Sheriff’s Office, the case began on Friday night when hospital personnel called authorities in connection with a child who arrived to the emergency room with broken ribs and internal bleeding. Initially, the child’s mother told investigators that the child had fallen off a trampoline and onto a metal fan. Due to the extent of the child injuries, he died Saturday morning. As the day progressed, investigators learned that the child’s mother had sent text messages to various friends referring to Muñiz having struck the child on several occasions. Sheriff’s investigators re-interviewed the mother who then told authorities that Muñiz had punched the toddler various times. At the request of a local justice of the peace, a forensic pathologist performed an autopsy on the body Sunday and determined that the child had died from blunt force trauma. On Monday, sheriff’s investigators arrested Muñiz on murder charges. During questioning, the man told detectives that he had struck the child on Friday.